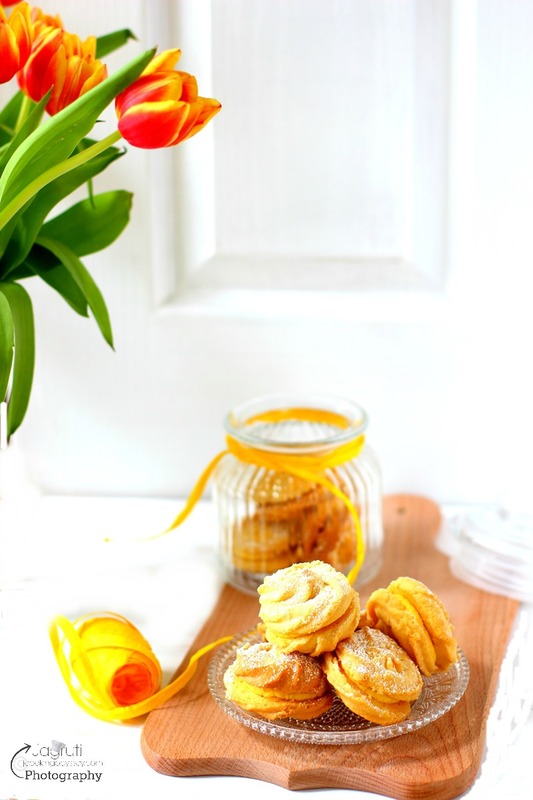 Say hello to the best of winter food! 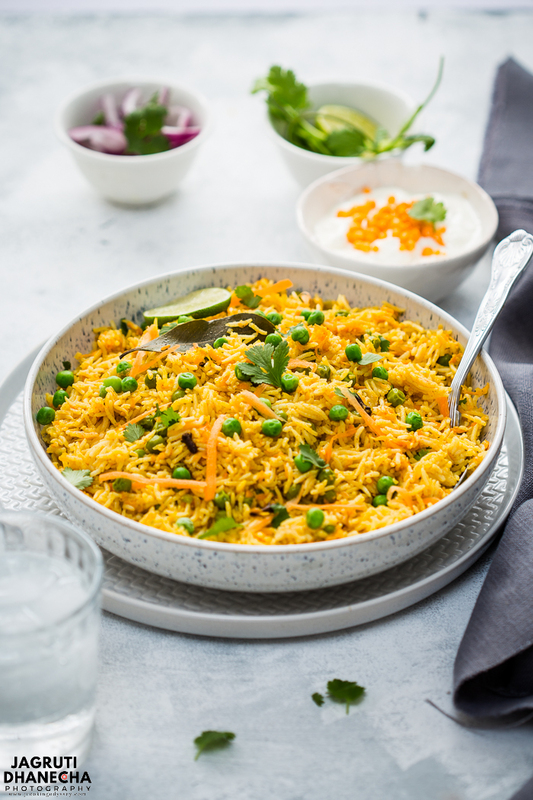 This aromatic Carrot and Coconut Pulao Rice is packed with flavours and comes together in such a short time and it's a crowd pleaser! It contains wholesome veggies, aromatic spices and creamy coconut milk all packed into hearty, filling and oh-so-cosy dish! Even though any rice dish is pure comfort food, it is packed with plenty of veggies like carrots, green peas, onion and garlic. This one pot wonder rice dish is perfect for a weekend lunch or for those chilly nights when you're craving something warm and delicious but easy to whip up. 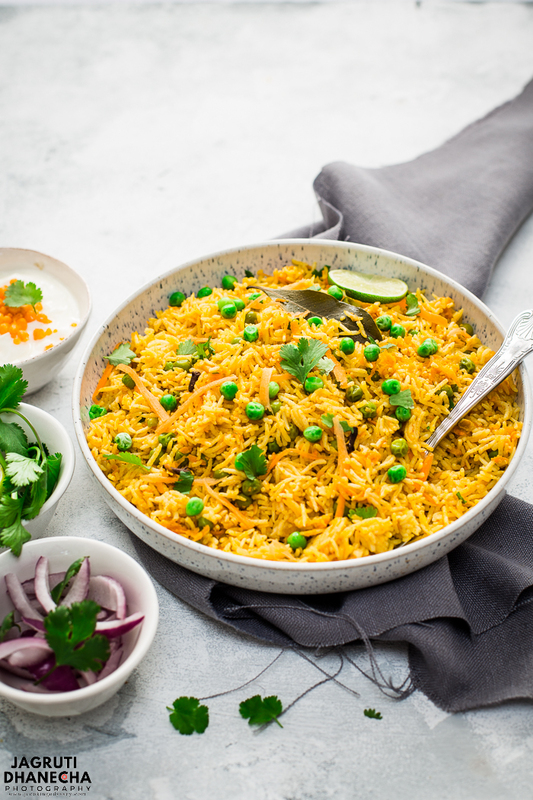 Also, for any potlucks, lunch box or picnic, let this flavoursome Carrot & Coconut Pulao Rice be your go-to dish. I didn't realise how many carrots I had accumulated during the Christmas holiday, because they were darn cheap. A 1kg carrot bag only for 29p, I forgot how many I bought that day but for two weeks there was a carrot dish was on our table every other day including one of them was this carrot rice which is a favourite of my family members. Pulao, Pulav, Pilau or Pilaf is an easy rice dish which is cooked in one pot. In this recipe, rice is cooked with mild spices and veggies in spicy broth. Pulao rice cooks faster on medium to high heat. This recipe is perfect for those days when you want to cook something fancy, but don't want to spend hours in the kitchen. 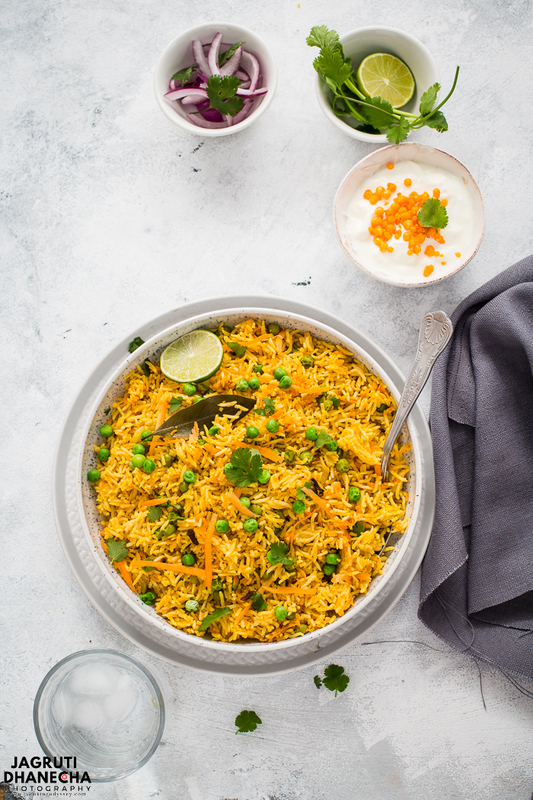 We all make rice, and always want to use different ingredients, with carrot and coconut this pulao rice is taste heavenly. To make carrot and coconut pulao rice you need freshly grated carrots, coconut milk and rice. I have also used basic whole spices, onion, garlic, some ground spices and oil. While I was preparing this rice my daughter noticed the colour of the ingredients I was using, so she suggested I should also throw in some frozen green peas so the dish looks like Indian Flag Colours ( Orange carrots, White Rice and Green is peas )! I also added some lemon juice and garnished the rice with freshly chopped coriander, you should try it! In a heavy bottom pan or kadai add heat oil add whole spices ( Bay leaf, cloves, cinnamon, green cardamom and black cardamom ). Once they splutter add chopped onion, garlic, and finely chopped ginger and green chillies. Saute everything till onions turn light pink. Now add grated carrots and fry for another couple of minutes, add green pea ( if using ) and cook further for 3-4 minutes. Add washed and soaked rice and all the ground spices ( Turmeric, red chilli powder, cumin and coriander and garam masala ). Fry the rice for another 2-3 minutes on high heat. Add coconut milk + water and salt. Mix well and cover the pan with a lid. Keep the heat High at this stage, after a 5-7 minutes check the rice, if it looks 50% cooked turn the heat low and let the rice cook another 5-7 minutes. Check the water level if rice is getting dryer add a couple of tablespoons of water. Once done turn off the heat, keep the lid closed and let the rice cook on 'DUM' in own steam. When serving add lemon juice and freshly chopped coriander and serve with raita, salad and papad. Clean and wash 1 cup rice under the running cold water for 5-6 times. Drain all the water and leave it aside. Arrange inner pot for cooking the rice, press saute button for 6 minutes. Add oil, once melts add whole spices. Once they splutter add chopped onion, garlic, ginger and green chillies. Once onion fried, add grated carrots and green peas. After a minute or so add rice and ground spices, saute everything for another couple of minutes. Mix well and cover the lid. Pressure cook the rice for 6 minutes, 10 NPR then release the steam manually. Rice is ready to serve. Carefully mix the rice with the fork, add lemon juice if you want. Serve in a serving plate and garnish it with the freshly chopped coriander. Aromatic and delicious Carrot and coconut rice is very easy to prepare. If you have time Clean, wash and soak rice for 15-20 minutes, if not just wash it and leave it aside. Heat oil in a thick bottom pan, add whole spices. When they splutter add chopped onion along with garlic, ginger and green chillies. Fry the mixture till onions turns light pink. Then add grated carrots and fry it for a couple of minutes, then add green peas and again cook further a minute or so. Now add drained rice and ground spices, fry the rice mixture for a couple of minutes. Add coconut milk and water mix, salt and cover the pan with the lid. Cook the rice until done. Add lemon juice and freshly chopped coriander. Serve hot with raita, salad and papad. For pulao rice, Basmati rice works best, but you can use whatever variety you have on your hand. I have to clear my fridge out and have quite a bit of carrots left over. I know exactly where to use it--- to make this delicious looking pulao. The Pulao is so appealing for the eyes!! Beautiful color !! Such healthy and delicious wholesome meal!! This pulao looks super yummy with beautiful colours on plate. Love the way you have added carrots to this. Yummilicious share. Aaha ! that's a nice one. Looks so delicious. You know, I prepare something similar pulao with a slight variation. what a beauty! This rice looks just perfect, such a lovely texture, and I love all the spices and flavours there! Also, your photos are sunning! I love that this is a one pot meal! Such a great flavor combination, I can't wait to try it! I can see just by looking at the pics how flavor packed this rice dish must be! And SO pretty to look at! A stunning meatless side dish! Oh yes please! This looks so vibrant and I bet it tastes amazing! I'd happily eat a big bowl of this. What a flavorful side dish! Perfect to pair with lighter chicken dishes. I love this recipe. This dish looks amazing! You really stepped up when combining flavors to make this dish come alive. Hahah, I can totally relate! I have a huge bag of carrots in my fridge right now! I've had a few pulao in my time but never with coconut milk! It's such a great addition though, definitely worth it! A great way to use up carrots as well, I always seem to have a few knocking around the fridge. The flavors you used and the vibrant colors of this rice dish make it sooo appetizing! I'm always looking for new starch sides to pair with dinners - and this one is definitely a keeper! The flavors in this sounds awesome! I love the mix of spices and coconut milk. This would be a fantastic side for any main dish.